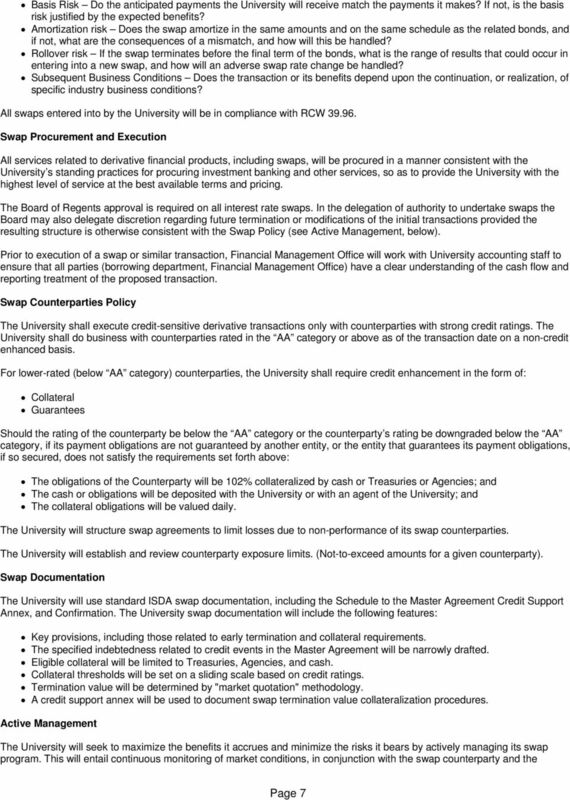 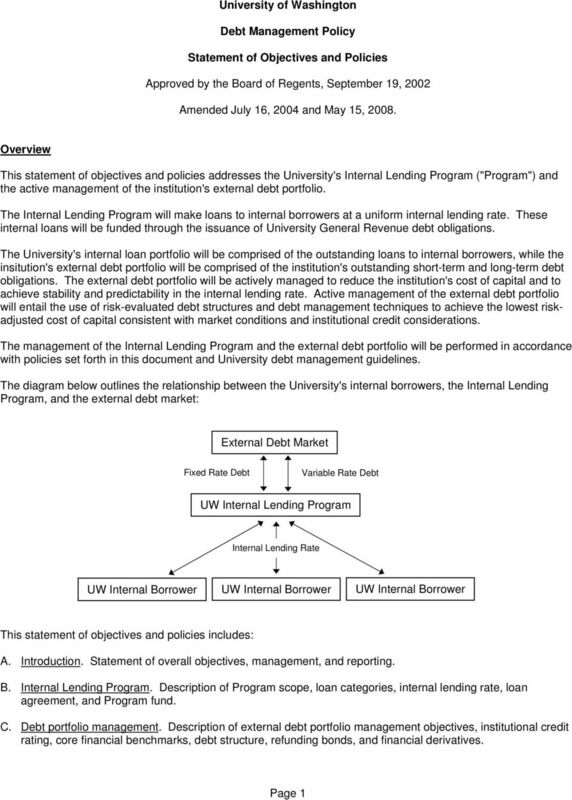 Download "University of Washington. 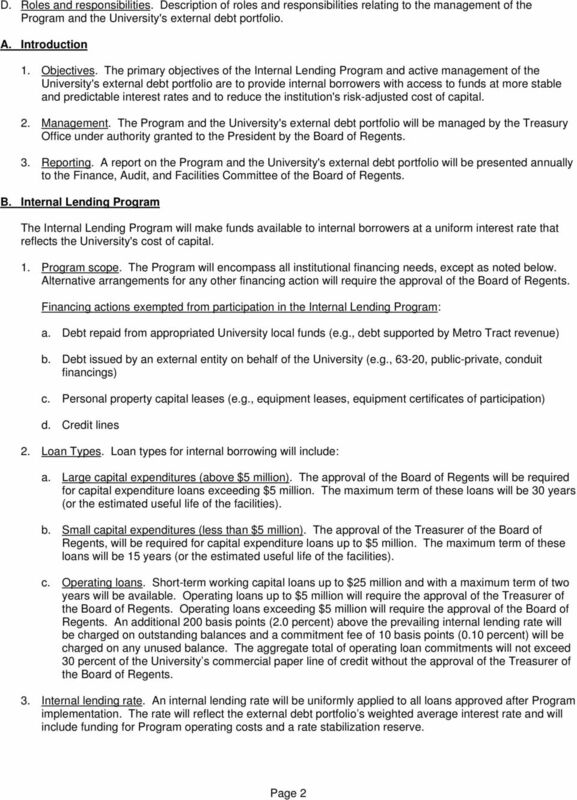 Debt Management Policy. 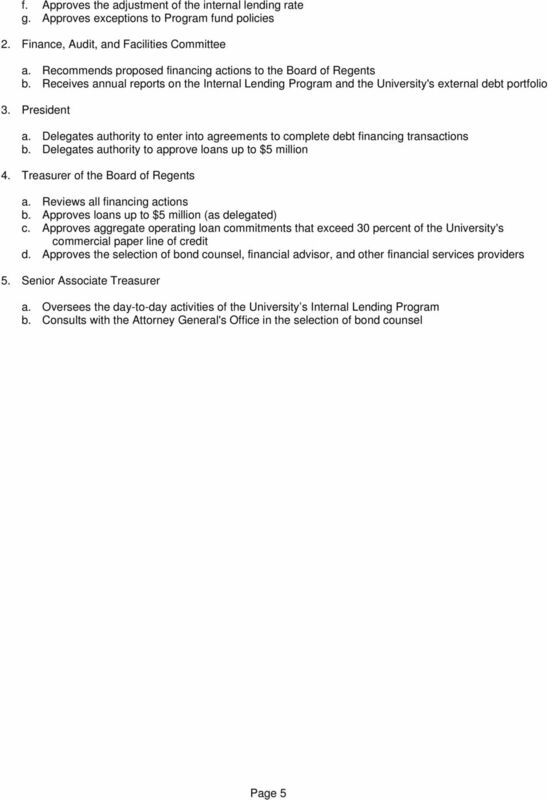 Statement of Objectives and Policies. 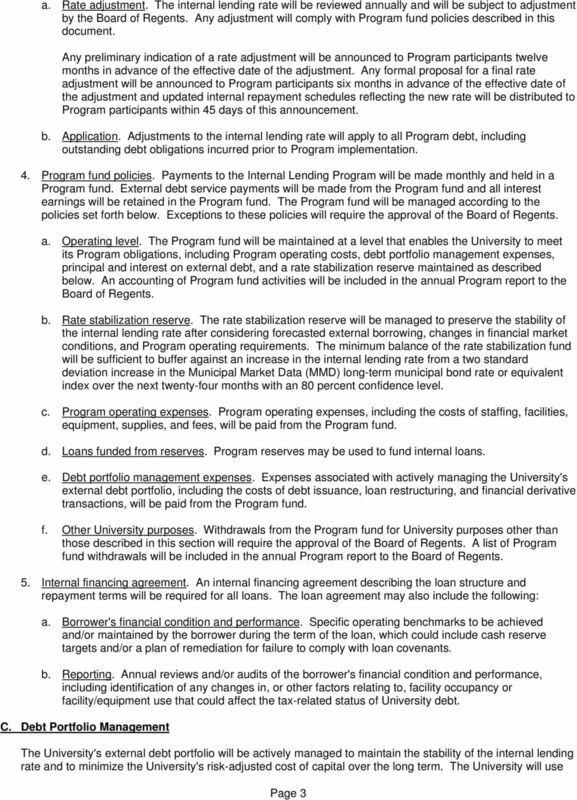 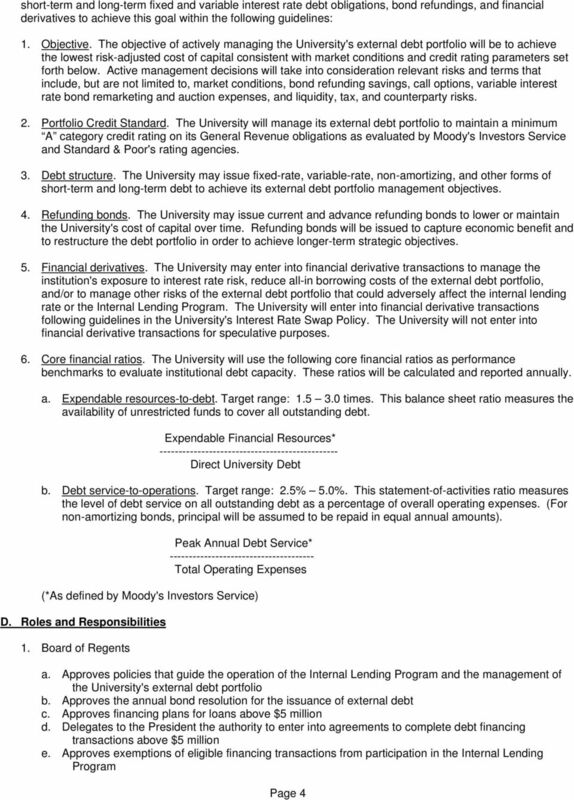 Approved by the Board of Regents, September 19, 2002"
Investment Policy Statement Adopted July 12 th 2011 Investment Policy Statement Table of Contents A. Purpose.1 B. 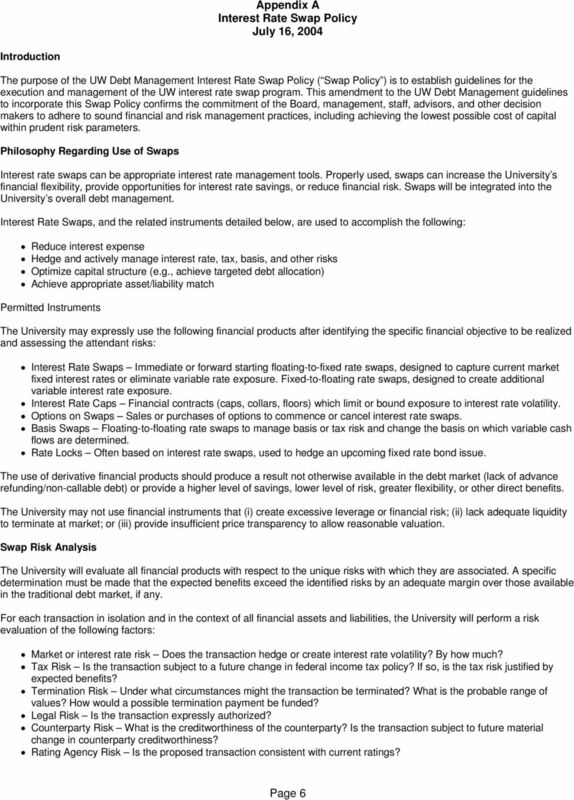 Background..1 C. Objectives.1 D. Risk Tolerance.2 E. Investment Guidelines / Asset Allocation.